In this pile are the crisps I made and some of Lesley's...Seriously! You can't even tell the difference! I am sure she is a nice person and everything, but I have to say I have a bit of a hard time paying $7.00 for a box of Lesley Stowe's crackers-- even though they are amazing and delicious. 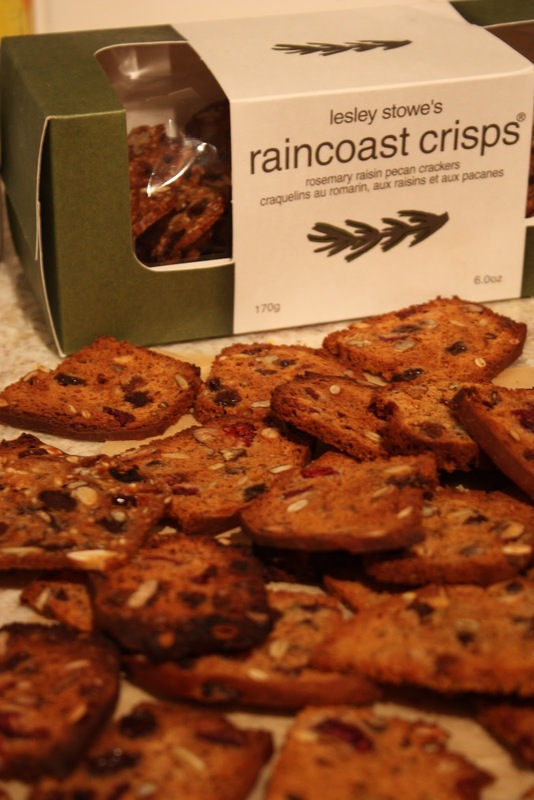 Up until this year, Raincoast Crisps were an expensive treat--the perfect accompaniment to a cheese platter on girls night. Then along came Julie Van Rosendaal, a local foodie hero in Calgary. 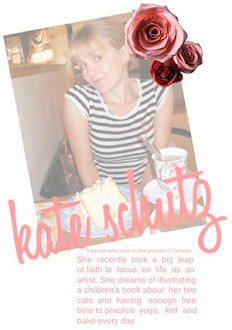 She has a CBC show, she writes for City Palate Magazine and her blog, Dinner with Julie, is a weekly must read of mine. She writes like she is in your kitchen, sitting at your island with a cup of coffee and giving gentle instructions on how to fold in the toasted sesame seeds so you don't overwork the batter. In short, I love her. Probably as much as Vancouver-ites love Lesley Stowes. Which is fine, except Julie gave us Raincoast Crisps for 1/8th price. In a large bowl, stir together the flour, baking soda and salt. Add the buttermilk, brown sugar and honey and stir a few strokes. Add the raisins, pecans, pumpkin seeds, sesame seeds, flax seed and rosemary and stir just until blended. Pour the batter into two 8”x4” loaf pans that have been sprayed with nonstick spray. Bake for about 35 minutes, until golden and springy to the touch. Remove from the pans and cool on a wire rack. The cooler the bread, the easier it is to slice really thin. You can leave it until the next day or pop it in the freezer. Slice the loaves as thin as you can and place the slices in a single layer on an ungreased cookie sheet. (Julie likes to slice and bake one loaf and pop the other in the freezer for another day. This is a really great tip. I now always have these loaves ready and waiting in the freezer. Surprise guests? No problem!) Reduce the oven heat to 300° F and bake them for about 15 minutes, then flip them over and bake for another 10 minutes, until crisp and deep golden. Try not to eat them all at once. Makes about 8 dozen crackers. Per cracker: 30 calories, 0.8 g total fat (0.1 g saturated fat, 0.4 g monounsaturated fat, 0.3 g polyunsaturated fat), 0.7 g protein, 5.3 g carbohydrate, 0.2 mg cholesterol, 0.3 g fiber. 23% calories from fat. *A tip from me: I made these in regular loaf pans. I am sure Lesley has cute mini-loaf pans which gives the crackers their uniform shape. If you don't have a commercial gourmet cracker business, the loaf pans in your cupboard are fine. Just slice the loaf lengthwise first before cutting into crackers and you'll have a nice size to hold a bit of cheese or jam.